Are you ready for summer? 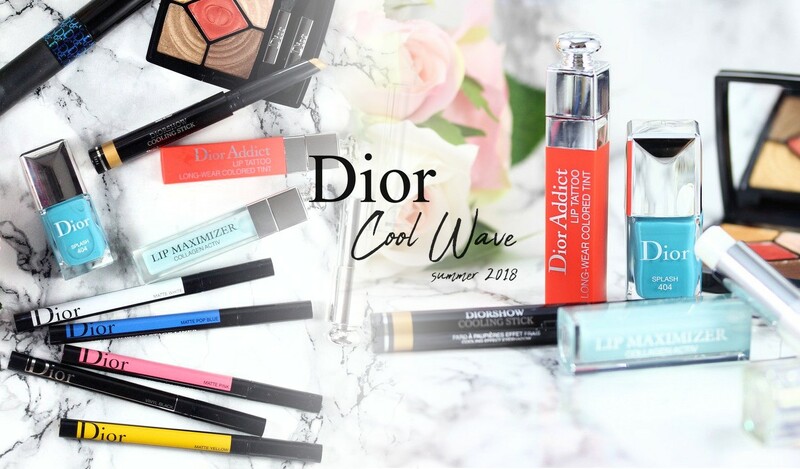 :D If you, chances are high you will love Dior summer collection called "Cool Wave Summer Look for 2018", a collection full of bright colors with ultra comfortable texture and quick and easy application! Let's start with the nail polish! I got Splash, a gorgeous blue cream. It feels so summery!! I really love it. 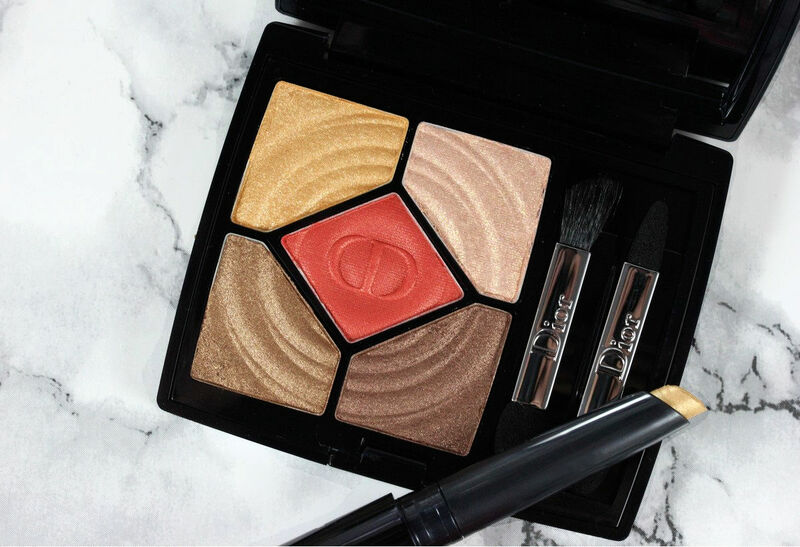 Perfect formula and easy to apply thanks to the wide fan brush. I used 2 coats. This collections offers 2 5-Couleurs palettes: a cool- and warm-toned one. The design of the shadow resembles a drop falling into water and breaking its surface, that's so delicate and gorgeous. 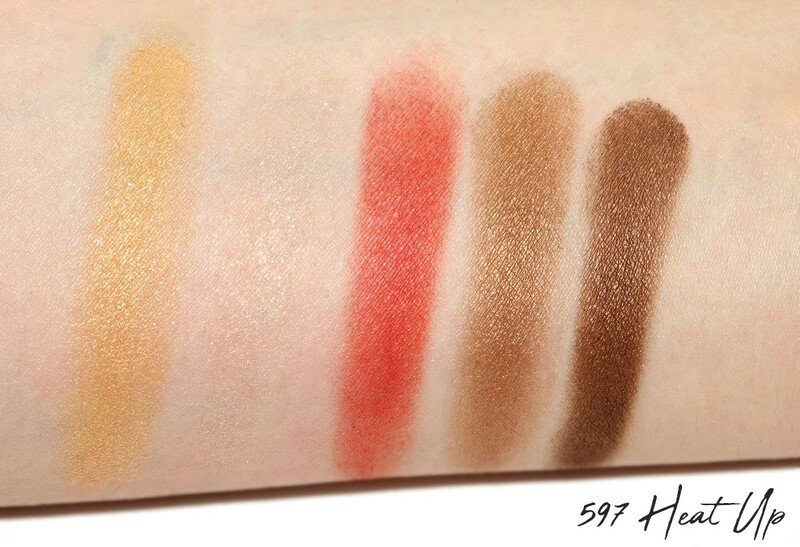 I have the warm-toned palettes (597 Heat Up) and the shades are creamy, effortless to blend and not powdery (not powdery at all actually but more creamy). 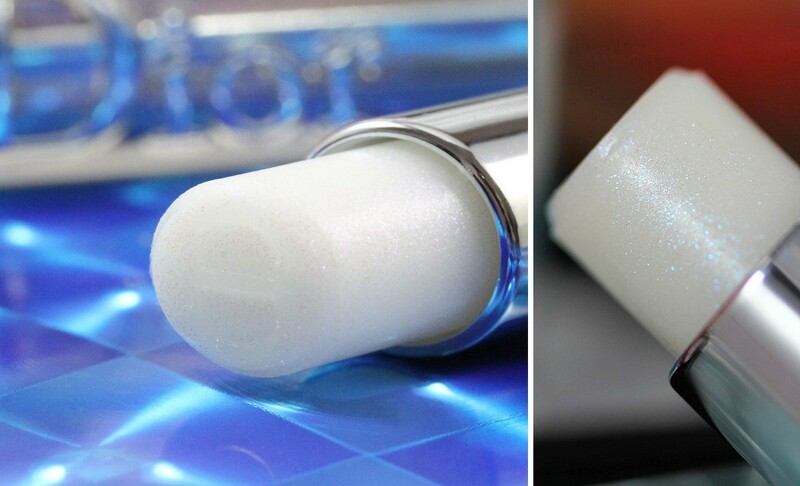 They have a wet effect that makes the skin glow beautifully. 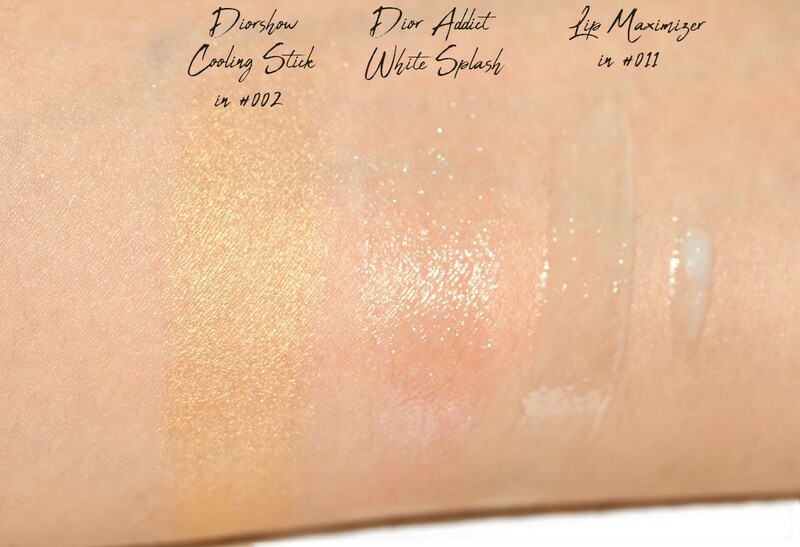 From the left corner and then clockwise: a sparkly yellow gold (quite unique due to the more yellow hue in this gold), a transluscent base with tiny pink and gold glitters, a medium metallic brown with warm-red undertones, a lighter brown with gold undertones, and in the middle a matte but slightly sparkly/metallic (could call it a satin) red. 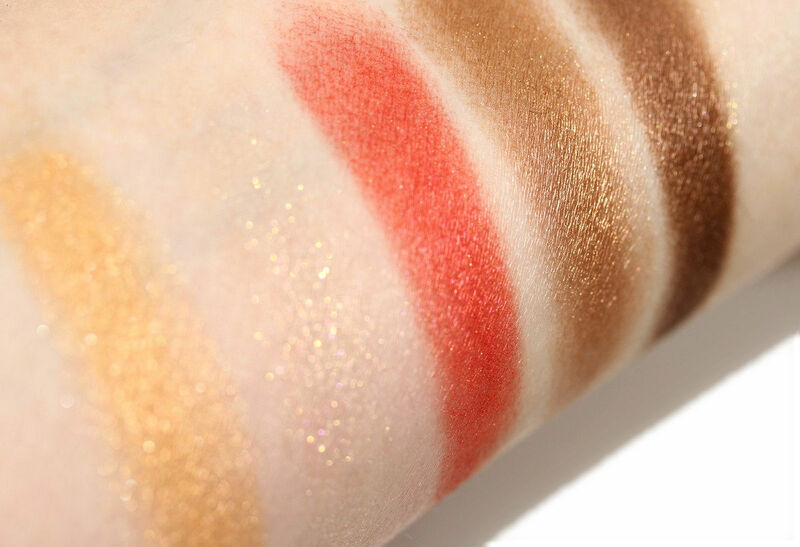 This palette is seriously gorgeous because of its colors and textures. The texture is so creamy and easy to blend. I like using it when I want to do a really quick and effortless eyelook but still want it to look special and unique. Concerning the eyes, there are also new Cooling Sticks. 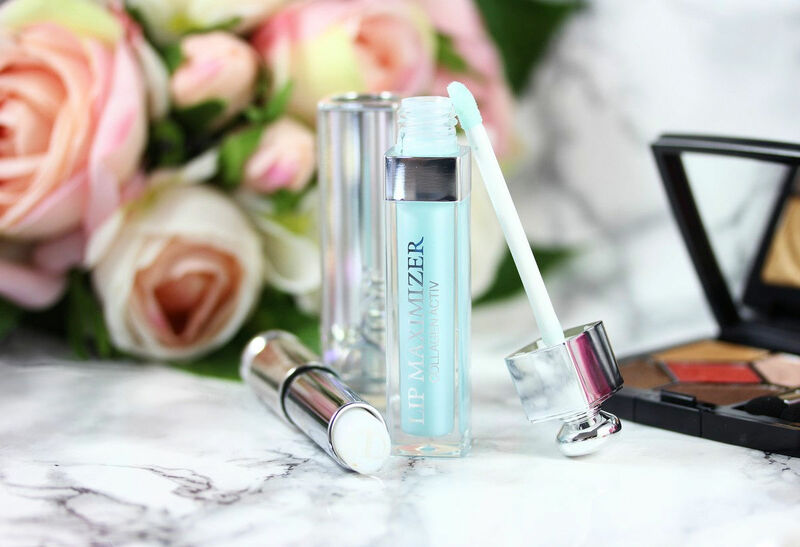 These are also so easy to use and also great when you want to do a quick and effortless but still impactful makeup! The color I have is 002 Gold Splash and it's a yellow shimmery gold. It does feel cooling when you apply it! 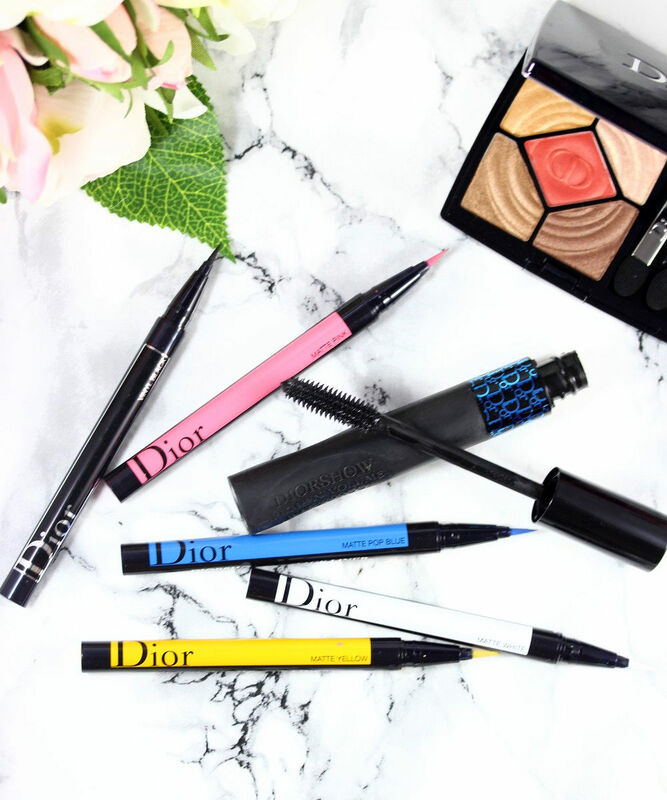 For the eyes there are also great new products from Dior, not technically part of the Summer collection but they were launched quasi at the same time so I include them here, too! 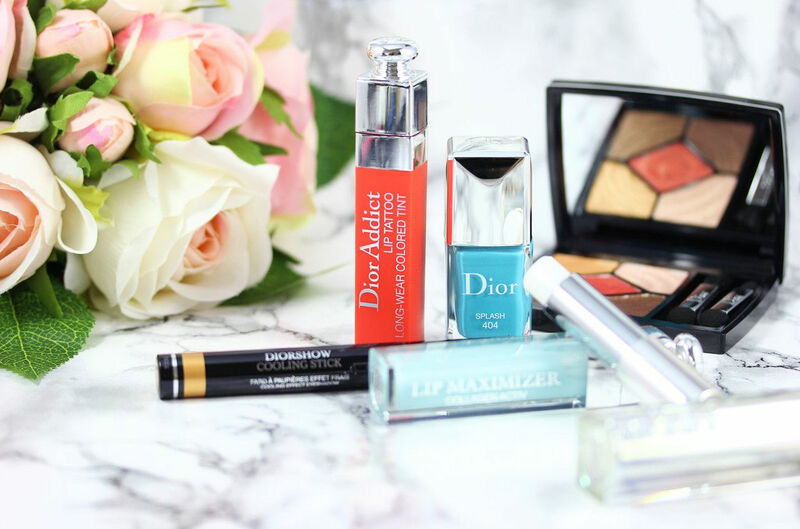 The Diorshow on Stage Liners! These totally blown me away. They're again so easy to use. 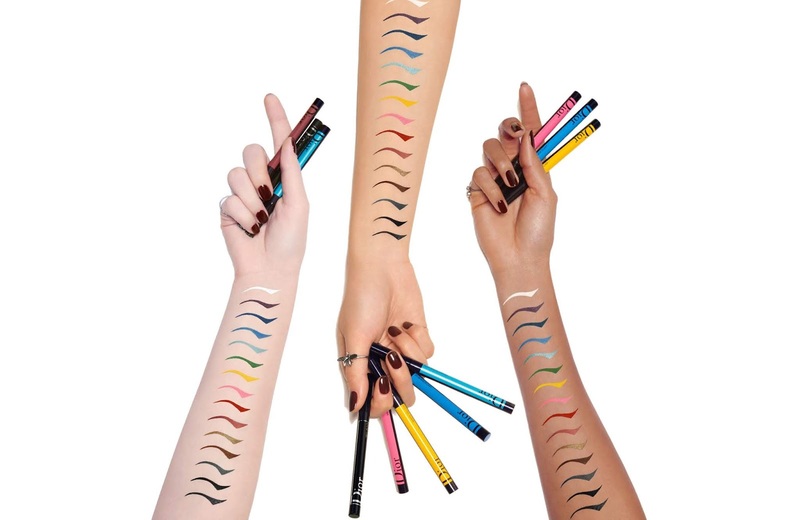 They glide so easily and even if you're a liner beginner, you will love them! 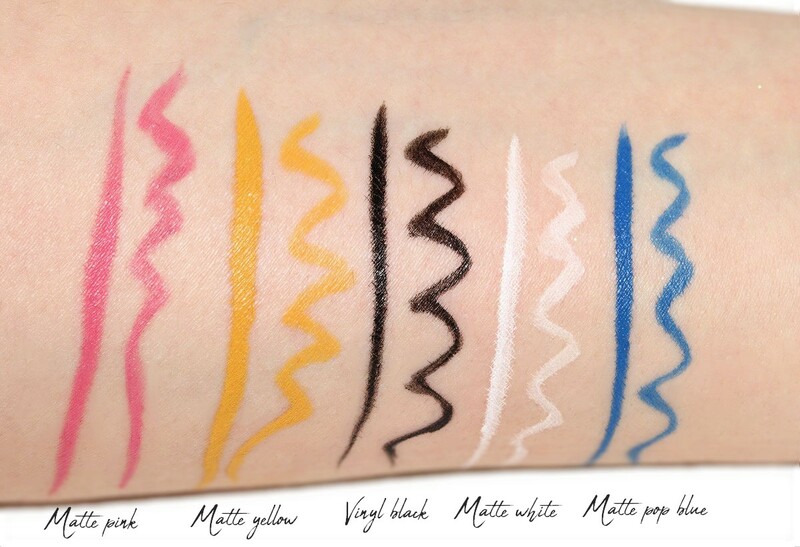 They're also super pigmented and therfore only need 1 swipe to get fully opaque. 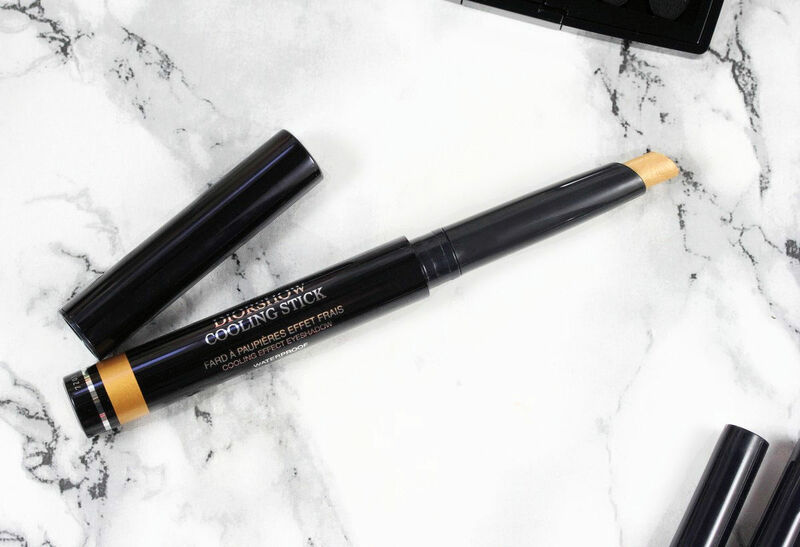 This is a felt-type of eyeliner and the tip is not too stiff nor too flexible, but just perfect to help you create a super thin line. They're waterproof and last all day. They don't budge or move at all! They're available in 14 colours and in matte or pearly finish. 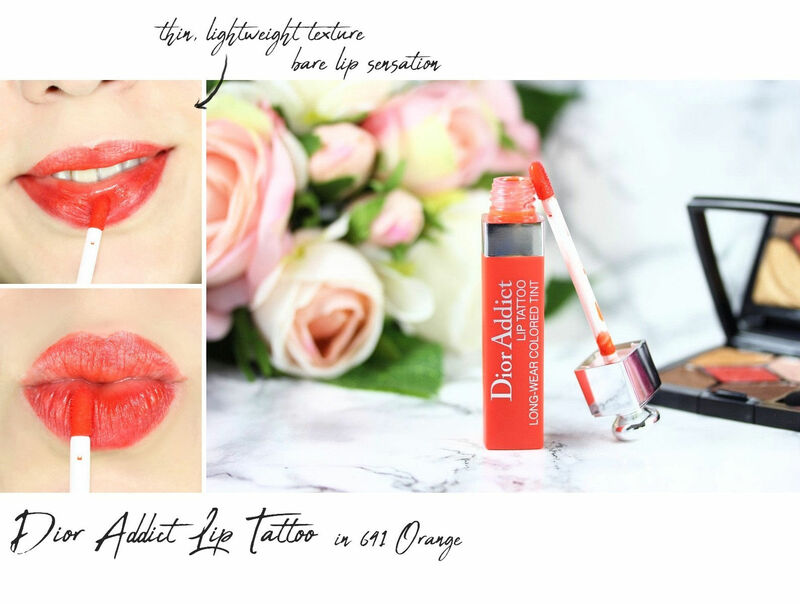 For the lips, there are 3 new colors of Dior Addict Lip Tattoos (reviewed the formula last year here). The texture is really thin and comfortable. At first it looks a bit glossy but after about 2 min, it dries down to a more matte finish. It's not 100% opaque but has more a see-through type of finish, a finish that looks particularly cool in summer in my opinion. I have "Orange" and I find it sheerer than the lip tattoos of last year (rosewood, berry, coral etc). I find it also a bit thinner. It stains the lips but not in a too strong way. On me it typically lasts about 5h, which I find pretty decent for a sheer lip product. 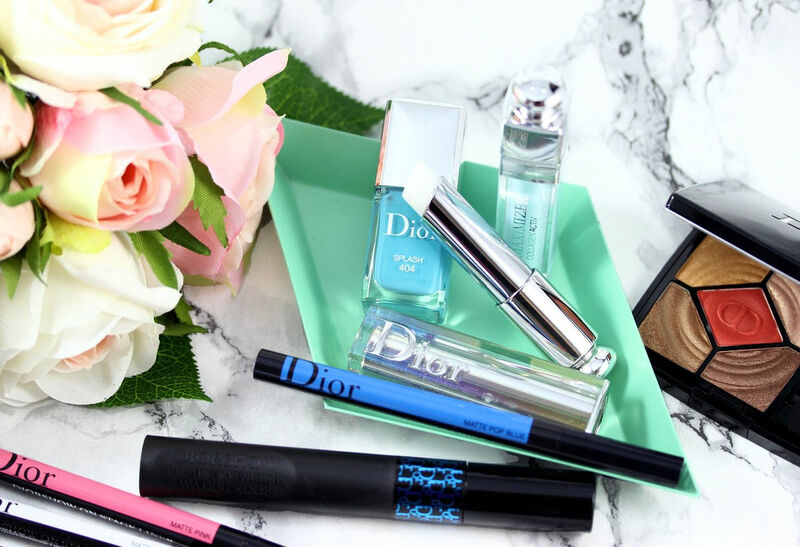 There is also a new Dior Addict lipstick in White Splash, a sheer and emollient lipstick with blue and silver sparkles and pretty iridescent touch. On the lips, it doesn't really look blue, don't worry. I find it actually rather flattering and it makes the lips nicely hydrated and juicy. I like it a lot! What do you think of this collection? Anything you would like to get? 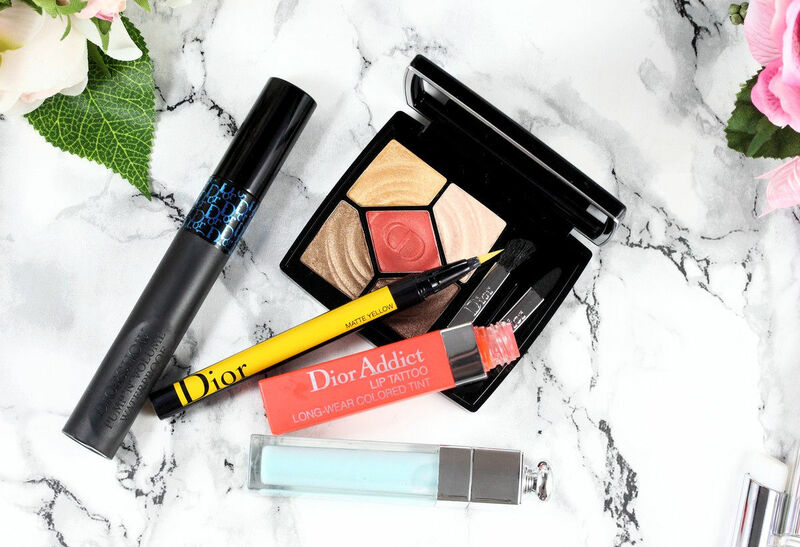 The eyeliners are phenonemal and I can highly recommend them. They glide so easy and are so pigmented that getting the perfect cat eye is easy-peasy! I also like that they are so many colors available. 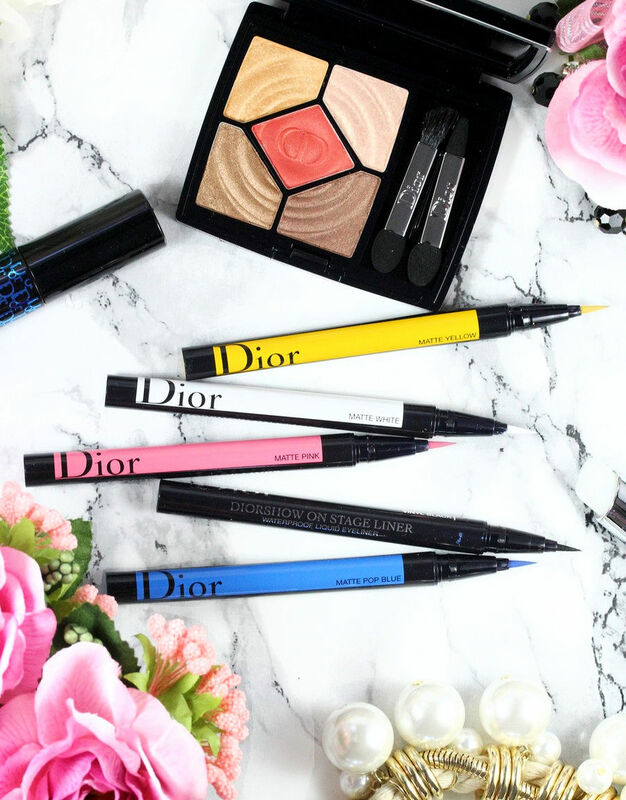 I love using the black for a regular eyeliner look and add pink or yellow along the lower lash line! Wow everything look amazing! 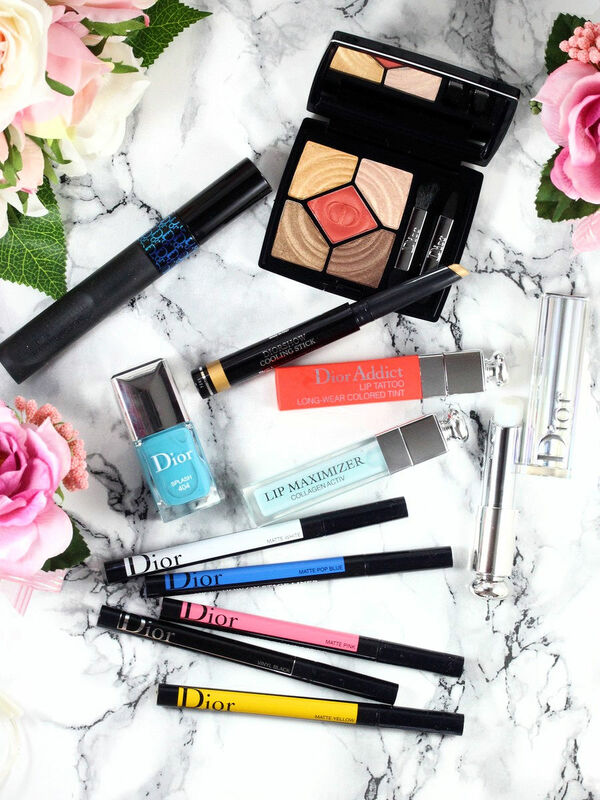 I just love Dior make up!! !